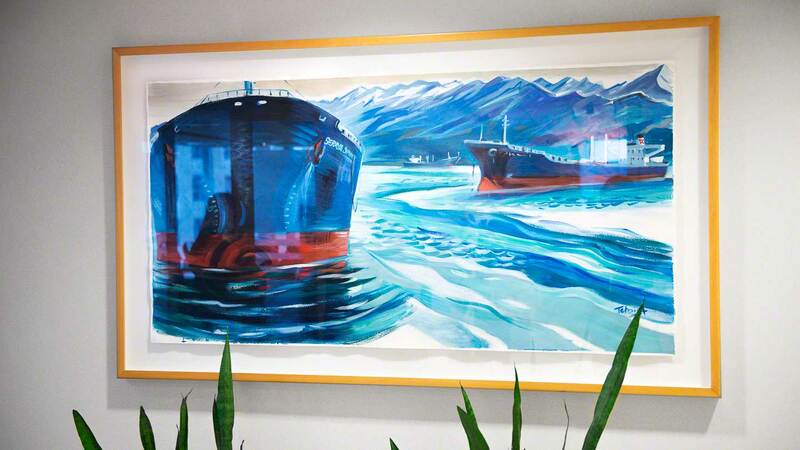 For the past 15 years we have been assisting Teekay Shipping with their art needs. 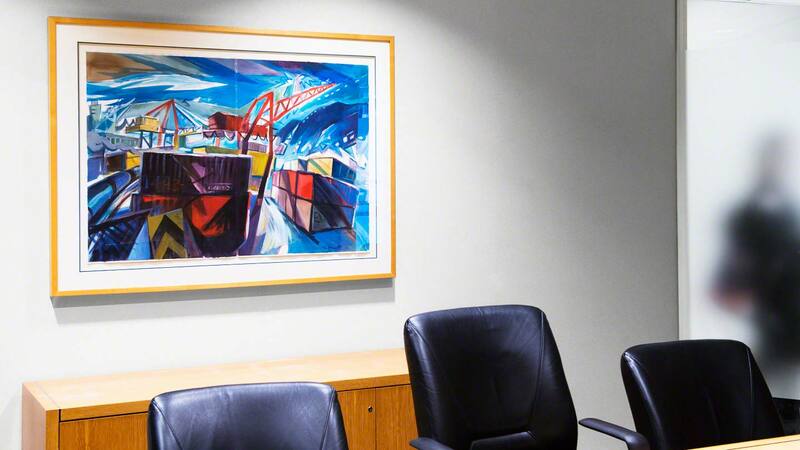 When their new offices opened, we worked with their staff and interior designer to select a variety of artwork that uniquely tells their story. 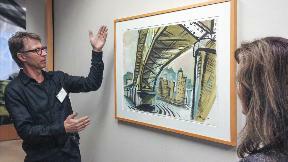 Artist Richard Tetrault was selected to create the majority of the works. He was commissioned to create originals from photographs of Teekay's worldwide locations. 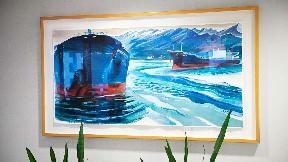 The featured artwork "Vancouver Harbour" was hung in their reception area, and D'or Art published a limited edition print for their 25th Anniversary to be given as gifts to staff and clients. 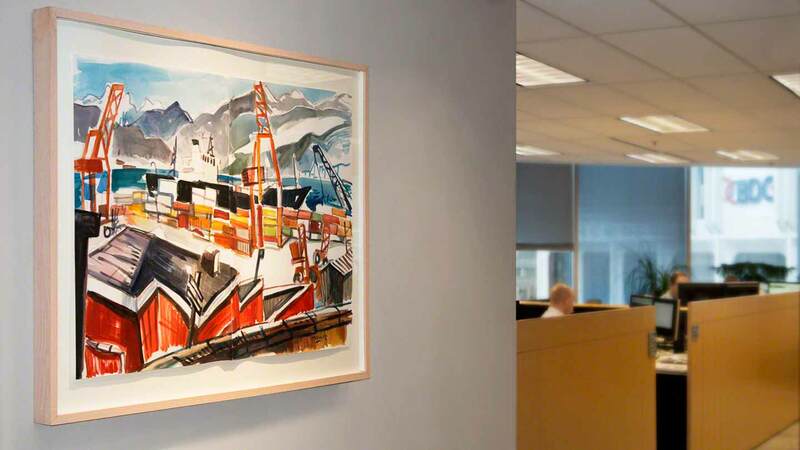 Since then, Teekay has moved to Bentall 5 and we are thrilled to provide them with artwork and framing for their new office, as well as for their vessels abroad, and as corporate gifts. When Teekay moved their offices from Bentall 1 to Bentall 5 they wanted to “Tell their Story through Art”. We were contacted by Teekay and their designers to create artwork that would depict their industry and showcase their new head offices. I immediately thought of artist Richard Tetrault. His artwork is urban, colourful and conveys the industrial landscape. To depict their international presence, we chose photos of their vessels and harbour locations for Richard to paint. He created sketches first for approval, then more than a dozen works on canvas, and over 10 works on paper were painted. We worked with Teekay taking them through each step of the commissioned artwork process from initial concept to completion and installation. Over the years we have assisted Teekay with many vessel "naming ceremonies" providing gifts, limited edition prints, sculptures, framed art and other creative gift ideas such as telescopes and sextants.